Exfoliating your skin regularly is very important especially during summers. Exfoliating makes your skin softer and helps get rid of all the dead skin cells, giving you a fresh and rejuvenated feel. It's very vital to maintain the health and beauty of your skin. I have tried a LOT of exfoliating scrubs from different brands but trust me, I never really liked many of them as they were all full of chemicals. I am person who always reaches out to herbal and nature based skin products as I have sensitive skin and I hate the idea of exposing my skin to too many chemicals. 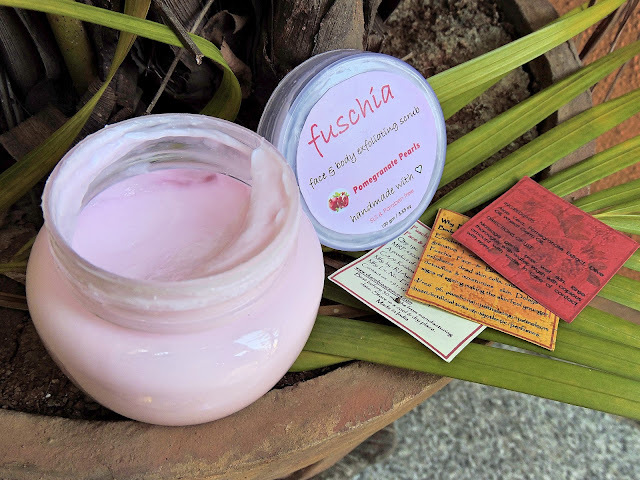 I was glad to get my hands on the yummy looking pink pot of face and body exfoliating scrub from Fuschia. Fuschia skin care products are all handmade and free of harmful chemicals, that's why I totally love them. I have used their lip balms, soaps and anti-ageing cream too. 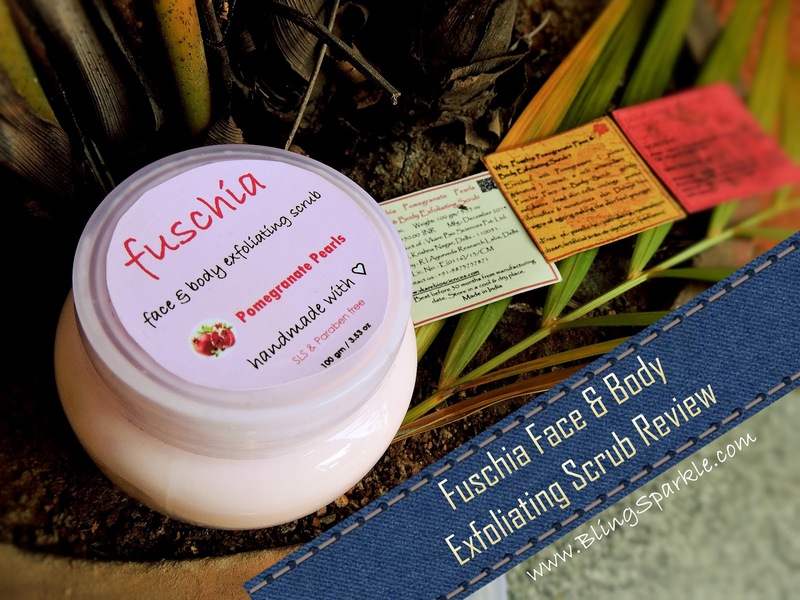 'SLS and Paraben free' were the words which forced me to grab the face and body exfoliating scrub from Fuschia scrub and I am so glad to have got a chance to try it! 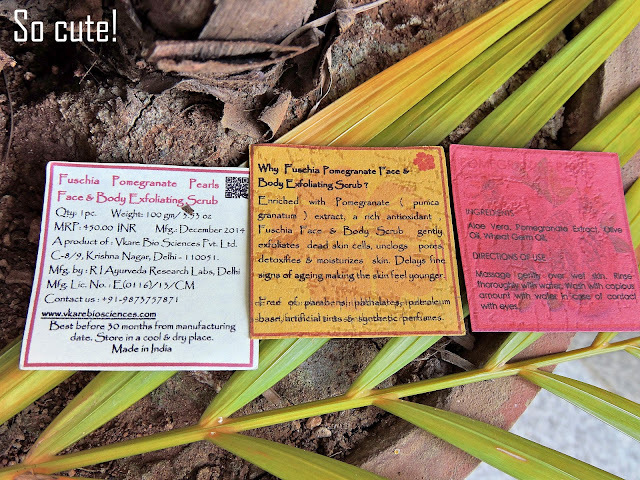 Read on to know more. 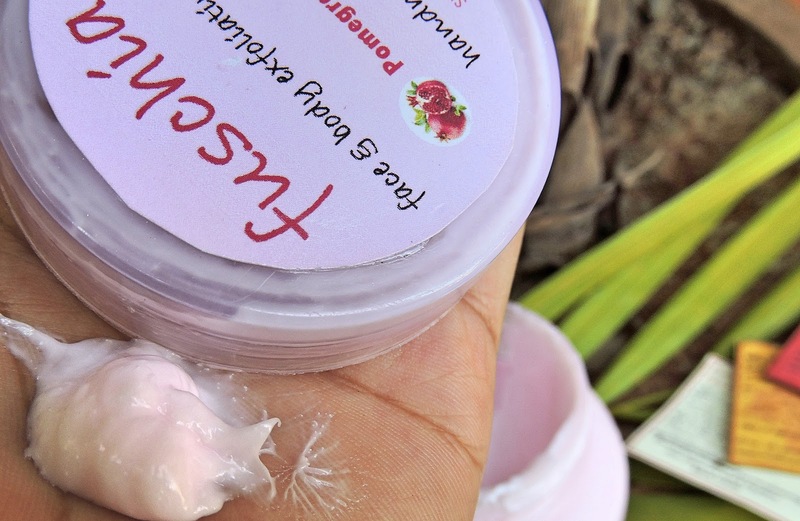 Packaging: This scrub comes in a sturdy and cute transparent tub with a screw up lid. My tub's lid was not tight enough so I have never carried it with me while travelling. Texture and colour: The texture is like an ice cream with minute particles to facilitate exfoliation. The colour is baby pink - very similar to a strawberry ice cream! The packaging of this scrub is like love at first sight. The product is good and works for all skin types. The best part is that it does not cause any kind of irritation and leaves the skin moisturized. I really love using it and I am often tempted to eat it it up - it looks so edible and delicious! Overall, the product is lovely and a must buy for people with sensitive skin. Just remember not to lick it. #lol.